On February 25, 2017, the British Columbia Safety Authority (BCSA) issued the first revision to Information Bulletin IB-GA 2013-02 (Rev. 01) entitled “Portable Appliance and Fan Effects on Buildings”. This revised bulletin clarifies the potential of carbon monoxide accumulation when using portable air conditioning units, clothes dryers, or circulating fans that continuously exhaust warm air to the outside without fresh air being brought in to replace it. 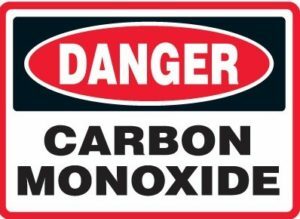 The bulletin discusses the important role regular maintenance plays in the prevention of carbon monoxide poisoning. On February 23, 2017, the British Columbia Safety Authority (BCSA) issued a revision to Information Bulletin B-G5 071019 3 (Rev. 01) entitled “Annual Servicing for Gas Appliances”. The bulletin also reminds home owners that the servicing and maintenance of gas appliances must be completed by a certified gas fitter employed by a BCSA licenses gas contractor. This article is a compilation of two articles which first appeared in the 2013 Nov/Dec and 2014 Jan/Feb editions of Propane Canada Magazine and provides guidelines related to responding to carbon monoxide calls. and skills will be called upon to keep people warm and safe. There are two calls that should cause a heightened response: Gas leak and carbon monoxide (CO). Your company and employees response can save lives and reduce injuries caused by CO poisoning. Your company’s emergency response procedures for CO incidents are most effective when you coordinate with fire services, ambulance, and police. It is important that you establish a “Safe Entry Procedure” for when you are going to enter a building where there is a reported CO incident. CO calls can be made when a CO alarm has sounded or when the occupants suspect a possible CO exposure due to illness or strange odours. A CO alarm should never be ignored. Immediate evacuation is necessary when a CO alarm sounds. CO alarms are designed to alarm at exposure levels below the level at which people exhibit symptoms of CO poisoning. This gives the occupants time to take action to protect themselves. That being said, CO levels can escalate quickly, in which case the CO alarm is responding to a high level of CO in the atmosphere. CO alarms should not activate below 30 ppm. There have been instances where CO alarms have sounded and neither a CO elevation nor a source could be identified. Over the years, changes have been introduced into standards for CO detectors to reduce the number of unexplained occurrences. If a CO alarm is manufactured prior to October 1, 1998, and a CO elevation or CO source cannot be located, the resident should be advised to purchase a new alarm. CO alarms also have a service life marked on them and should be replaced when the end of the service life is reached. IAS 6-96 Second Edition, June 1, 1998. Professional CO detection equipment in the hands of a trained gas technician is essential for attending CO calls and finding the source of elevated CO readings in a building’s atmosphere. Use, maintenance and periodic calibration procedures should be established. Manufacturers of CO detection equipment generally provide recommendations and instructions for maintenance and recalibration. It is important that the CO detector a gas service technician is using is within the calibration time frame. Most CO detectors require recalibration once every 12 months. The calibration period can be shortened depending on use, stored environment, handling and how transported in the service vehicle. This is the type of instrument you do not want bouncing around in your service vehicle. Finding the reason for the CO alarm can be time-consuming and difficult, especially if the elevated levels are the result of transient conditions such as downdrafts from exhaust vents and chimneys, CO infiltration from outdoor equipment operating near open windows or doors, etc. What the exposure symptoms are. The first level of response is the person taking the call. It is important that that person has a procedure to instruct the customer on what actions they should take to protect human life and then property. If you use a third-party call service be sure to supply them with your company’s response procedures for a leak or CO call. The following is a possible response scenario that the person receiving the CO call could follow. Each company should develop their own response procedures based on how service calls are received and how the response is to be delivered. When developing procedures, the amount of time a response will take must be considered. For example, it may be quicker to contact the local fire service or HVAC contractor rather than wait for your service technician to arrive. Obtain caller’s name, address and telephone number. Ask if anyone is unconscious, nauseous, lightheaded, having headaches or chest pains. Advise the caller to open all windows in the room and close any doors that go to other parts of the house. If there is an exhaust fan in the room, turn it on to help bring in fresh air more quickly. Ask if a CO alarm is sounding. If yes or don’t know, follow procedures listed under “YES”. If the answer is “NO” to the alarm sounding, record caller’s reason to suspect CO incident and determine if CO investigation is needed. If so, then follow the procedures provided by your company. A Carbon Monoxide Incident Report Form is essential in providing a structured approach to help you identify the cause of the call for help and to assess when it is safe for a resident to re-enter the home. The form should list the CO levels and what action is required to be taken. The form should also capture all the readings taken. During the investigation process, residents should be evacuated from the home. After the investigation is complete, it is time to assess the information you have and in conjunction with fire services. If they responded, provide advice to the residents, including whether they can safely re-enter their home. The final decision on re-entry may need to be made by someone other than the first responder. These levels are benchmarks used to provide guidelines for giving advice to residents. These following Benchmark Guidelines were sourced from a document published by the U.S. Consumer Product Safety Commission. I expanded the advice to be given and actions to be taken to include provincial regulatory requirements. Your company may have different benchmarks with specific actions that you are to follow. Advise the residents that an engine should not be left idling in an attached garage, even if the garage door is open. Advise the residents in writing (use your work order to document) that the appliance is creating large amounts of CO and must not be reactivated until the reason for the high CO levels has been identified and corrected by a certified propane technician. Note: The appliance may not need repair or replacement. It is possible that exhaust fans or other large air moving appliances are creating a situation in the home that may need attention. House depressurization is a complex and sometimes difficult situation to recreate and is beyond the skill sets of a propane technician. If you suspect that building depressurization is causing a problem then advise the customer to arrange for a depressurization test to be performed on the home. There are companies that specialize in doing this type of testing and can assist the customer in overcoming the depressurization problem. Provincial Authorities Having Jurisdiction (AHJ) have guidelines as to when you are required to report a CO incident to them. These guidelines should form a part of your company’s reporting and documentation procedures when responding to a CO call. Unvented gas appliances, such as infrared camp heaters, barbecues, etc., are not permitted for use indoors. 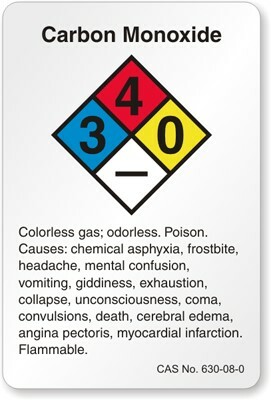 Educate the user about the dangers of CO and the proper use of appliances. If you cannot find an apparent source of elevated levels of CO then follow your AHJ guidelines and your company’s policy. Advise the residents to follow up with a company that specializes in building depressurization, etc. In co-operation with fire services advise the residents that they can return home after it is cleared of CO. When your equipment shows levels of CO below 30 ppm residents can return home. If your equipment shows a CO level below 30 ppm, and if a household CO alarm is still sounding, then advise the consumers to remove and replace it as soon as possible. Advise the residents to have their gas burning appliances inspected immediately and maintained once a year by a certified gas technician. Advise residents to use a CO alarm manufactured to the current standard issued by the Canadian Standards Association (CSA), Underwriters Laboratories Inc. (UL) or International Approval Services (IAS). Advise the residents to call again if their CO alarm sounds, particularly if they have followed the above recommendations. Advise the residents that an engine should not be left: idling in an attached garage, even if the garage door is open. Advise the residents in writing (use your work order to document) that the appliance is creating potentially dangerous levels of CO and must not be reactivated until the reason for the CO levels has been identified and corrected by a certified gas technician. The use of an approved appliance for a purpose other than its intended use and approval is not permitted. Advise the residents to follow up with a company that specializes in building depressurization, etc. In co-operation with fire services advise the residents that they can return home after it is cleared of CO. When your equipment shows levels of co below 30 ppm, residents can return home. If your equipment shows a CO level below 30 ppm, and if a household CO alarm is still sounding, then advise the consumers to remove and replace it as soon as possible. Advise residents to use a co alarm manufactured to the current standard issued by the Canadian Standards Association (CSA), Underwriters Laboratories Inc. (UL) or International Approval Services (lAS). Advise residents that you did not find high levels of carbon monoxide. If the call was the result of a sounding CO alarm, advise the residents to review the manufacturer’s instructions about a sounding co alarm and contact the manufacturer if necessary. If the alarm was manufactured before October 1, 1998, advise the residents to purchase a new alarm meeting the standards published by CSA, UL or IAS. Advise the residents that CO alarms have a limited life and that their alarm may need to be replaced. Advise the residents never to ignore a sounding co alarm and to call again if the alarm activates. Varying levels of carbon monoxide exposure may cause varying health effects, including levels that are not likely to cause adverse health effects in healthy adults, higher exposure levels that can be potentially life threatening and levels so high as to cause death. The effects of CO exposure depend on the length of time that a person has been exposed to CO, how high the CO concentration is, how physically active the person is at the time of exposure and the person’s general health. When a person breathes in CO it combines with oxygen in the blood to form poisonous carboxyhemoglobin (COHb). The amount of COHb in a person’s blood is expressed as a percent. For example, a person exposed to CO might be described as having 8% COHb. Heavy smokers may have baseline levels of 10% COHb. A 10% COHb level is a reference value that is widely regarded by physicians as confirmation of CO poisoning, even when there are no symptoms. When used as an upper limit, it is recognized as protecting healthy adults against the harmful effects of CO.
400 ppm for approximately 15 minutes. 70 ppm is the lowest level that can cause COHb to exceed 10%. At these same exposures, less active individuals will have less than 10% COHb. At levels less than 30 ppm, it is unlikely that adverse health effects will occur in healthy adults. This is the second benchmark level in industry standard CO alarms – they cannot sound at less than 30 ppm or less. This helps to prevent false or nuisance alarms when co levels may temporarily spike due to outdoor air inversion or when an appliance is first turned on. In conclusion, as previously mentioned, the benchmark levels used in this article are suggested guidelines based on a document published by the United States Consumer Product Safety Commission. You may already be using Standard Operating Procedures (SOPs) that use different CO ppm levels as a benchmark. If your SOPs work well for your needs and resources, and if the benchmark levels of those SOPs based on your experience and that of medical personnel in your community adequately provide for the safety of residents, then you may want to continue using those SOPs.